Blush Panels are sound panels that get wrapped in a paintable fabric finish. This allows us, or you, to paint the panels to the color of your choice. Ideal for color matching to your existing wall or ceiling surfaces to better blend your sound panel treatment, or for branding your space with your own custom color codes. Color selection is up to you, using 100% acrylic latex paint. We can paint the panels for you, or ship them unpainted for you to arrange for the painting on your end. A reminder that the key to making your sound panel treatment perform, is to ensure we do not under treat your space. Be sure to use our Room Analysis service to help calculate proper coverage amounts. Wall or ceiling mounted, the Blush Panels will deliver premium sound quality back into your space by capturing and converting the echoes from your room. All while offering a discreet custom paint surface designed to match or compliment to your existing color scheme. Ideal for blending your sound panel treatment into your room unnoticed. The Pantone paint can be applied in our shop before we ship them to you, or we can ship them unpainted for field application. The panels can be cut to size as you wish, and be placed into your space for a perimeter wall or ceiling treatment. Again, the key to the success of your sound panel project is to use our Room Analysis tool to help determine appropriate coverage amounts. See below. Note that the canvas used to wrap around the Blush Panels is designed to accept any Pantone Paint color. Your choice! 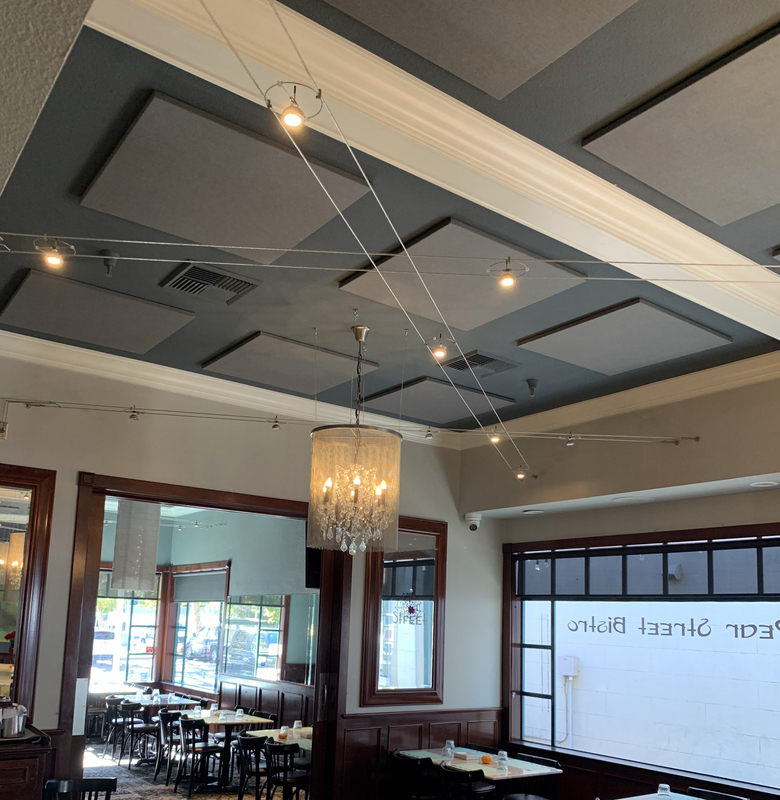 Either we can paint your acoustic panels to the color of your choice before we ship them to your project site, or we can your sound panels unpainted in our signature White color for you to paint yourself, or install as White. You choose! Either we can paint your Blush Panels or you can. The prices reflected here are table rated to give you an idea of price points, but you can order whatever custom size panels you want. 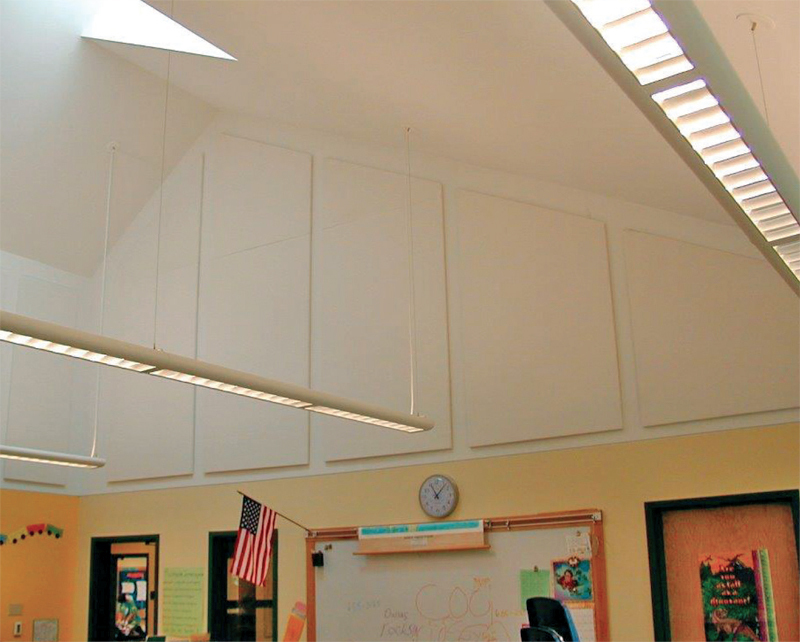 The 1″ thick panels are ideal for rooms where human voice is the primary sound source. If the space you are treating hosts musical instruments, then we recommend you bump to the 2″ thickness to better capture low bass reverberations. A reminder that the key to the acoustic values you are seeking lies in getting the coverage amounts right, which we will calculate for you based on the size, shape and surface textures of your room. Use our Room Analysis tool to submit your room dimensions, and we will quote your project back. For custom painted Blush Panels targeting rooms filled with music and/or low bass frequency sounds, we recommend you bump your panel thickness up to 2″. Ideal for bars or restaurants with live entertainment, auditoriums, band rooms, orchestra halls and sanctuaries that host contemporary services. For questions related to panel sizes or price points, call our help desk at 1-800-683-9355. So that you can control your color. 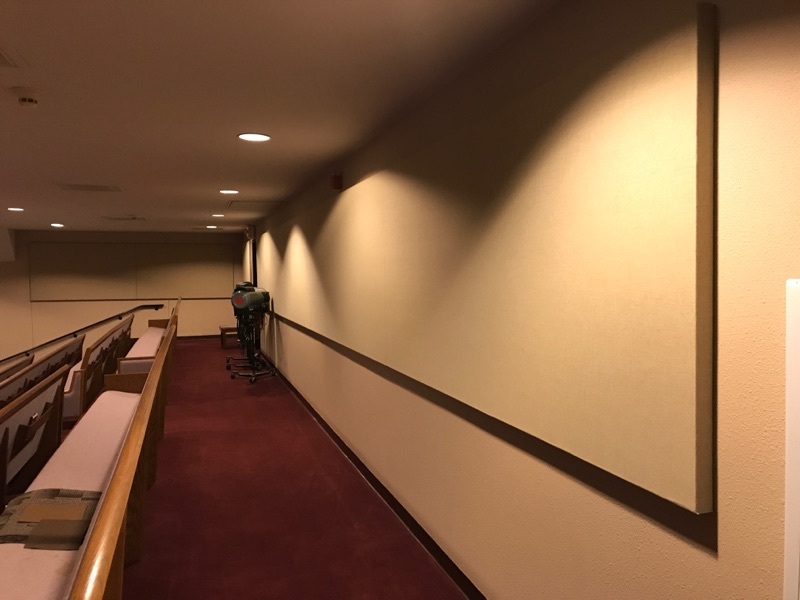 There are times when a client will prefer to better control the color presentation of their sound panels into their space, and those color options are not represented in our standard Fabric Panel color chart. In those cases, the Blush Panels provide the perfect option for better managing the design of your soundproofing treatment. Showcase local area artists. Have them paint your panels. Blush Panels are class A fire rated and approved for use in any commercial space. Fabric Panels or Blush Panels? Your answer depends on color choice and price. The noise mitigation you are after will be triggered by either sound panel option, as the core material is the same. The sound absorption values are the same. The only question is cosmetics. If you opt for the Fabric Panels, you curb your costs and select from the set of 60 color options. If you upgrade to the Blush Panels, you control your color, but for added expense. See the price guide above. Most clients will concede on price and opt for the Fabric Panels, which are beautiful. But for those occasions where a pure color match are essential, the Blush Panels are ideal. You choose! Can I paint my own panels? We can paint the panels for you and send to your project site, or you can arrange to have us ship your Blush Panels unpainted (White) for you to paint on your end. Either hire a local painter with a spray booth, or use a spray gun if you want to paint them yourself. See Painting Instructions. Acrylic Latex Paint is recommended. Check with your local paint manufacturer for help. Using a spray gun, the paint should cover approximately 200 sq ft per gallon. This depends on the results of your Room Analysis. Submit your room dimensions and we will calculate your coverage amounts. The goal is to ensure you do not under treat the space. Can you paint them for me? Yes. Simply feed us your color choice and we can paint the panels before we ship them to you. See the price guide above. Do Blush Panels work better than Fabric Panels? No. It’s the same panel system. Blush Panels are custom painted. Fabric Panels are cloth wrapped. Can you match to my color scheme? Yes. Feed us any Pantone Color and we can custom paint match your Blush Panels for you. Blush Panels will be properly packaged for shipment with the strong recommendation that you carefully inspect the panels upon delivery. Of course we ship all of our panels in perfect condition, but should they be dinged along their journey to your doorstep, it is your job to carefully inspect them to confirm they delivered in perfect shape. If not, sign for them as damaged, take images, and send back to NetWell for follow up. It happens rarely, so just a precaution. If we are painting your Blush Panels, this will extend the turnaround time as we will want fully dried panels before we package them together for shipment. 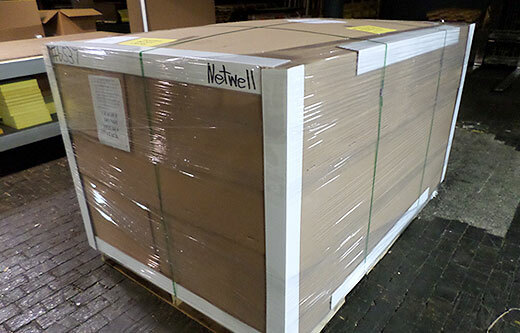 If you do not have loading dock or a forklift to remove the pallet off a truck, please let Netwell know up on order. We will add a lift gate service to your delivery. 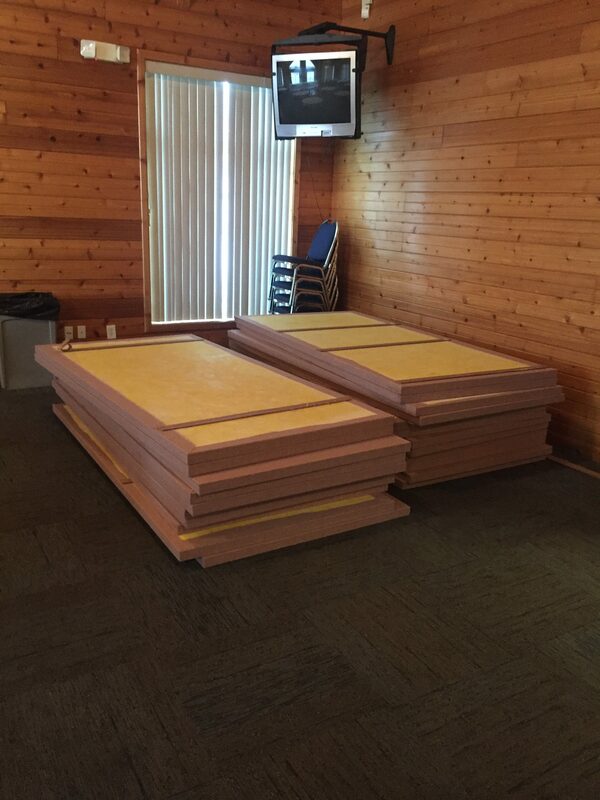 The goal with your upcoming acoustical treatment is to place the right amount of sound panel into your room in order to trigger the premium sound values back you are intending. The mistake made is to under treat the room. To properly calculate your coverage amounts, use our free Room Analysis tool to submit your room’s dimensions into our help desk. From there, we will equate to the proper panel coverage and quote your project back. By submitting your room’s dimensions, we will be able to calculate the coverage amounts for your Blush Panels and quote the project back. The goal is to ensure we are not under treating your space. For questions related to coverage, panel size, panel count, panel color or cost, call our help desk at 1-800-638-9355.